Everyone who’s ever worked in the kitchen knows that several types of kitchen equipment are mandatory. These include kitchen knives, measuring cups, ladles, wooden and metal spoons, and a trusty can opener. Without these types of equipment, you won’t be able to handle food preparation at all. But other types of kitchen tools are also great to have even if they’re not absolutely necessary. These tools including kitchen shears, slotted spoons, and special ceramic frying pans can make cooking a delight instead of an inconvenient imposition. Ceramic frying pans. Some of the excellent frying pans made from ceramic are the non-stick variety, which makes them great for frying eggs and fish. Just make sure you use enough oil so the “non-stickiness” doesn’t fail eventually. Some of these ceramic pans can even be used for induction stove-tops, as the ceramic layer contains a magnetic layer such as iron. But don’t use these ceramic-coated iron pans for your microwave! Silicon brush. Plastic or natural bristles should work fine especially if you’re just brushing your egg white over the pastry. But if you’re basting meat dishes, then the silicon material suits the heat much better than the other options. You should also get one with a longer handle, so that you’ll find basting even easier. Mills for pepper and salt. 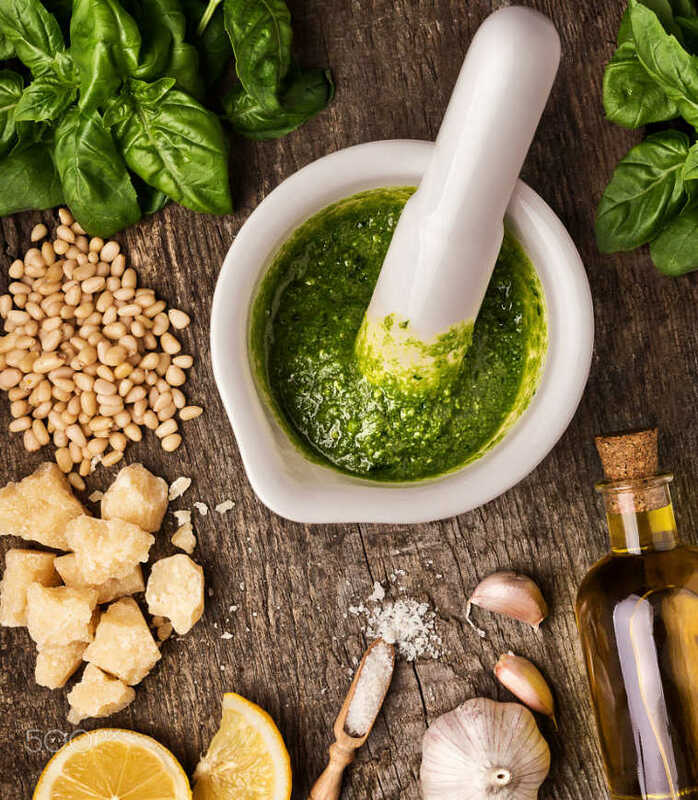 Often, a recipe can be transformed from “good” to “great” with just a bit of seasoning. The right mills for salt and pepper is therefore crucial, and the best ones are wooden mills that offer a variety of grinds. To get the best one for you, it should turn without squeaking, nice to use comfortably, and no trouble at all to fill. 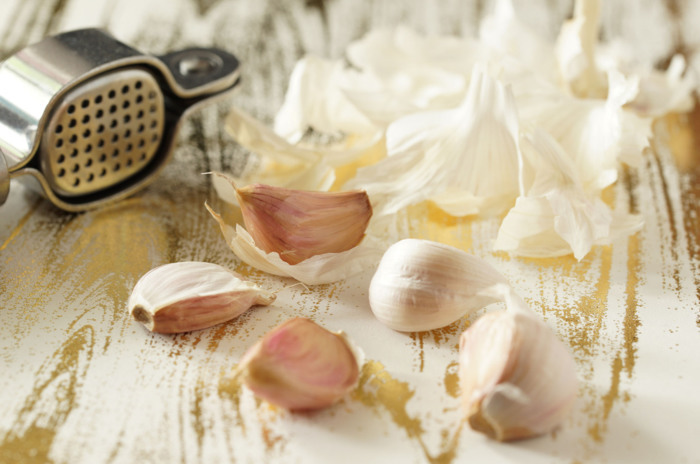 Garlic press. This is one kitchen tool that perfectly fits what we mean by not absolutely necessary, but nice to have when you need it. This contraption allows you to get all that garlicky flavor into your dishes without even having to peel the garlic before you put it in the press. Slotted spoon. This is a nifty tool that lets you fish out the ingredient you want without also getting the sauces and broth. It’s a very handy tool to have around, since you don’t have to waste time to set up your colander and strainer to do what you want. With this, you can get the pasta or the vegetables from the sauce, take the chicken from the broth, and lift the meat from the cooking fat. Whisk. This is a necessary piece of equipment if you’re making whipped cream or meringue. You’ll also need it if you’re making a cake or a recipe requires you to stir the eggs. Since the point is to stir the ingredient while lots of air goes through it, you should get a metal whisk with thin wires. That should get the job done, and it should last for a very long while. Lemon press. You really need to broaden your horizon if you’re still under the impression that lemons are just for lemonades. You can use it for various cakes and pie and you can also use it to marinate chicken. But it can be a bit slow and messy to squeeze and remove seeds from lemon, which is why a lemon press is needed in such circumstances. This gadget gives you the very last drop you can get from a lemon, and at the same time it will catch the seeds so they don’t get into the dish. Potato ricer or masher. Mashing the potatoes doesn’t really need specialist tools for the job. Heck, you can use a fork if you want. 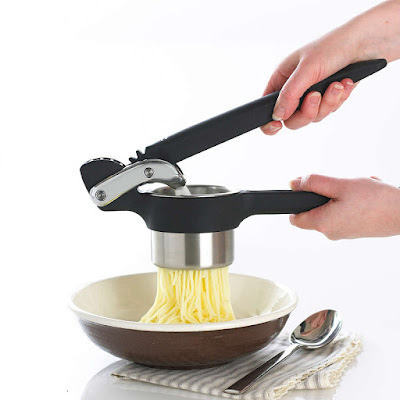 But it can get easier and you may have better results when you use a potato ricer or a potato masher. And you can also use these gadgets for other ingredients besides potatoes, such as beans, rutabagas, and pumpkins. Kitchen shears. Again, you can use ordinary knives or even just regular scissors as an alternative to kitchen shears. But when you use one to cut a whole chicken into various parts, you’ll marvel at just how useful this tool can actually be for you. Bottle opener and corkscrew. You can’t expect every ingredient that comes in a bottle to have a screw-top design. That’s especially true if you’re using wine from a corked bottle for your dishes. Many corkscrew designs now have a handy bottle opener set into the base, so you can open any bottle you need. Olive oil pourer. 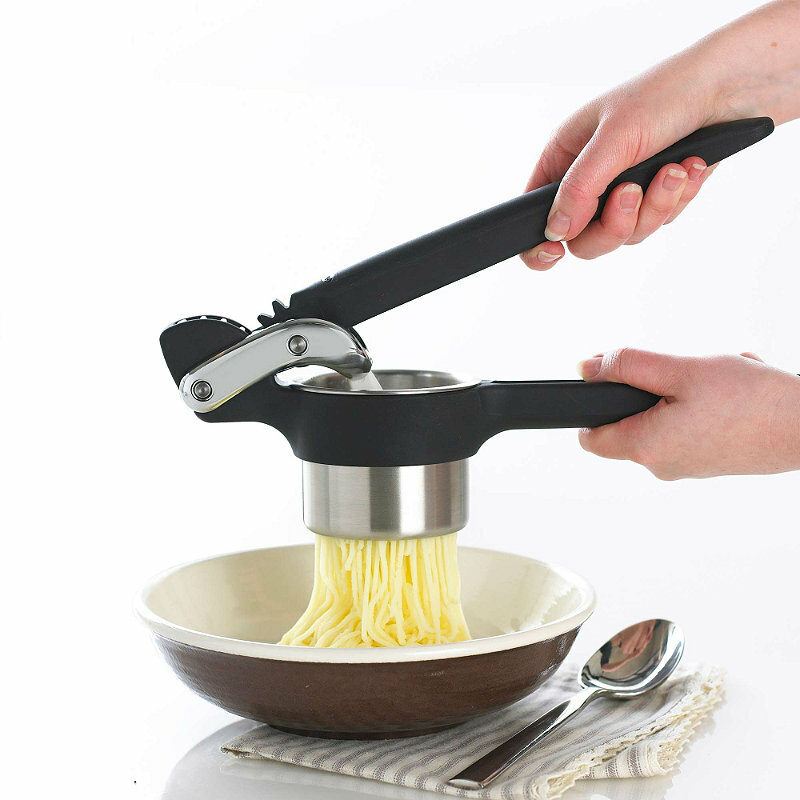 This lets you have better control over the amount of olive oil you can drizzle into the pan or salads. It also doubles as a handy storage compartment for your olive oil, and you can just pick it up and use it any time you want. It’s a big container, so you can even buy olive oil in bulk if that can give you a significant discount. Mortar and pestle. Have you ever read Jean Auel’s series of books about prehistoric societies? You may notice than even these cave dwellers were already using the mortar and pestle to make their food and prepare their herbal remedies. This design is still the best way to prepare fresh herbs and spices, and it’s easy enough to pick the right one for you. All you need is the biggest and heaviest mortar and pestle you can afford. Thermometers. You need to find a way to monitor the temperature of certain dishes if you want to cook the properly. You can’t just use an ordinary one, and unfortunately you need more than one type. You’ll need a meat probe thermometer and an oven thermometer for your roasts, and a sugar thermometer is convenient if you’re making candied sweets like toffee. These are just the start of the various kitchen tools you may find useful for your home kitchen. Things like ceramic frying pans make things easier for you and they offer better results, and these benefits mean they offer great value for your money.